Although those of you who are keen on details will notice that the illustration describes this as “clockwise”. Purling the Eastern way, as I have been lo these many years, the yarn goes round clockwise (or as one might call it, anti-clockwise) instead, leaving the stitch sitting on the needle the other way around, and thus it becomes twisted when one knits into it (anti-clockwise or possibly clockwise) on the next row, going back the other way. This is called Continental Combination, which sounds like a rather delectable breakfast. 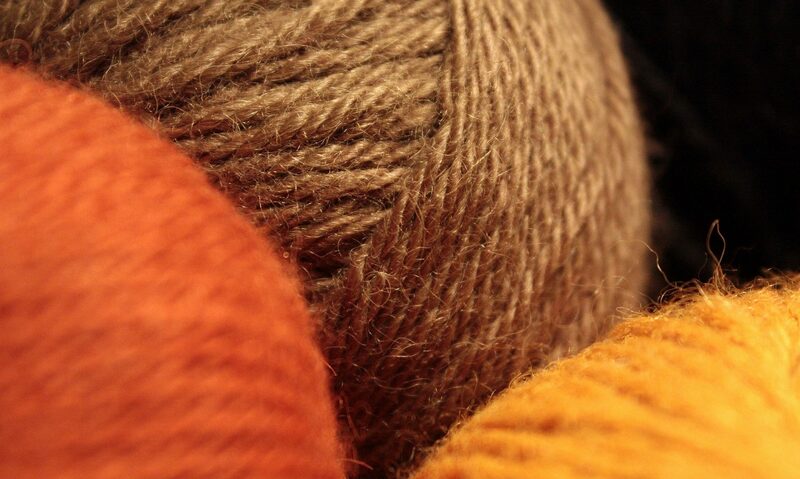 For the purposes of this discussion, I will not be calling clockwise purling “wrong” or anti-clockwise “traditional”, as there is no wrong way to create a purl (except one that results in a knit), and there are many traditions in the great wide world of knitting. Let us not be insular, even if we do live on islands. And since I find it remarkably easy to get the terms clockwise and anti-clockwise confused (it’s that old ambidextrous left/right thing again), I shall refer to them as Eastern and Widdershins. Yes, Eastern still creates a purl, and yes, it’s a lot easier, but you end up with a sort of rough textured tweedy look on what would otherwise be an expanse of even stocking-stitch. All very well if that’s the look you’re going for, but recently I decided, like Henry Crawford, that “it would not do for a constancy.” I wish to have more than one purl to my string, you might say. It turns out it can be done. It took a bit of finagling to get used to, but once I realized that the waft of my yarn-bearing finger with which I was wont to loop the needle was insufficient, I progressed. Now my yarn-bearing finger drops forward and down, to make sure that the yarn not only goes around the needle the Widdershin way, but doesn’t attempt to leap wildly off it, the second I turn my back. So far, it appears to be working. I am therefore marking it down as a successful upskill. (Please do not ask me about purling through the backs of stitches.) At present I am only using this for the ribbing atop a sock, but in the fullness of time I have other projects planned which will now emerge with a smoother finish. I regret that I was unable to discover a suitably licensed image of Eastern purl to show you. Instead, please accept this alternative which Google offered in its place: Purlovia Maxima. It is a therocephalian therapsid, and once you know that you know as much as I do. Its fossils were found in Russia, and should therefore presumably be approached in the Eastern, or clockwise, direction. Yes, the important thing for a smooth result is to knit and purl the same way. Doesn’t really matter which way, as long as they match.